One of the more anticipated sequels coming up is Bad Boys 3, which is tentatively titled Bad Boys for Life. Star Will Smith has confirmed numerous times that he will be back both in front of and behind the camera. And that his co-star Martin Lawrence is also returning. But there seems to be some kind of hold up. The movie is supposed to hit in January 2018. But so far, everyone involved has remained relatively quiet. Now, Will Smith has given an update. And it appears that production is set to begin soon. Sony Pictures announced Bad Boys 3 nearly two years ago. And ever since, we've had to rely on speculation and rumor, and the occasional Will Smith update. The actor was on the fence about returning to his role as Detective Mike Lowrey, and for a while, it seems like he might just take a backseat as a producer, letting two newcomers take over in a reboot. That's not happening. But because of that, the movie has also suffered from delays. Will Smith has been a very busy man. He starred in this summer's Suicide Squad, and he has Collateral Beauty coming out in a few weeks. And he has already jumped into his next movie Bright, which is a fantasy adventure about police officers and Orcs having to work together. It is being directed by Suicide Squad's David Ayer, and was snatched up by Netflix. In the movie, Will Smith sports a mustache. And according to him, the growth of that mustache has stalled production on Bad Boys 3. But not to worry. It is happening. Will Smith appeared on Jimmy Kimmel to chat about Collateral Beauty, and of course the subject of Bad Boys 3 came up. Martin Lawrence had previously stated that Bad Boys for Life would shoot this March. Which makes sense, because the sequel has an official January 2018 release date. But Will Smith refused to confirm that date, saying only this. "It is very, very, very close." Jimmy Kimmel was quick to ask about the delay. And Will Smith joked that his facial hair was directly responsible for holding up the crew from moving forward. He says this. "It's the mustache. The studio was like, 'We can't do the 'stache.'" Will Smith also refused to outright confirm the already announced release date for Bad Boys 3, which hints that a schedule change or delay may be announced soon. He did admit that he's 'thrilled' to return to the franchise. And that he loves working with Martin Lawrence, calling the first two movies the 'best times' he's ever had making a big blockbuster. 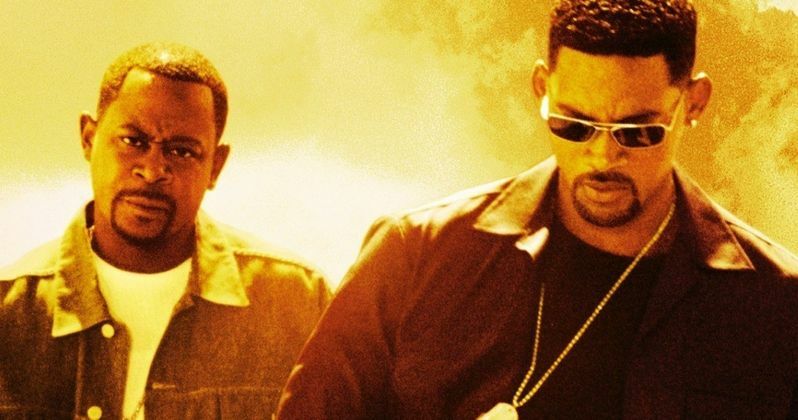 Bad Boys 3 is trading in original director Michael Bay for Joe Carnahan. In previous interviews, Carnahan refused to reveal his main villain, calling it a delicate situation. But he did admit that said bad guy is 'very cool'. It won't be just one entity that is chasing our heroes, but what the director refers to as a 'multi-headed hydra'. While the sequel doesn't have a firm start date, we can expect that it will definitely start shooting sometime in 2017, as Sony is hungry for more franchises, and Bad Boys is one of their most promising properties.